How to activate midbrain For Kids & Adults – Are you looking for the ways to activate Mid Brain or midbrain activation tips? If yes, then you are in the right place. All parents want the best for their kids and Mid brain activation is one of the best things through which the child can become brainy. There is a different level of courses that help in activating the Mid Brain. Midbrain activation helps in enhancing the learning and thinking capabilities. Mid Brain is one of the most important parts of the brain that is best developed at the tender age. 4-14 age is the best age for brain development. Mid Brain development help in shaping the child’s brain to do well both in academics and extracurricular activities. There are fortunately different academies now that offer these services and courses. You can choose the best of them in your area and wait for the results it has to offer. What is Mid Brain Activation? It is basically a program or a course specially designed to train and furnish kids with abilities to understand and perceive visual objects without seeing. The Mid Brain is the most important part of the whole brain. The main function of Mid Brain is to coordinate communication of auditory, motor, and visual signals. It is located right side above the brain stem. This part of the brain is not consciously controlled by the individuals, therefore, it is important to enroll your kids in these courses to enhance their skills and make them extraordinary. How do the Mid Brain activate? Midbrain activation helps in enhancing optimal brain functionality. The child is taken through the process of activation and learning to enable the extra ordinally skills in him/her. 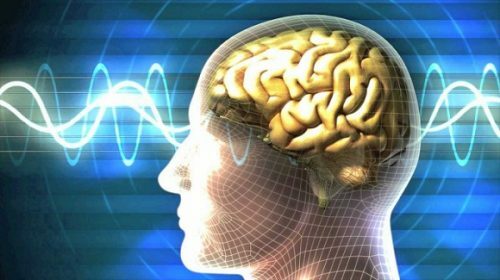 Midbrain activation is strongly related to the invention process, which is the ability to perceive environmental aspects in limited time and without thinking. Through this type of activation, all the senses become active and perform at their best with the help of perception. This course is usually taught with a blindfold so that the child can learn faster. What are the benefits of Midbrain activation training program? Midbrain activation programs or training helps in enhancing optimal brain functionality. These courses are for the parents who want their kids to become smarter and brainy. There are plenty of benefits which will definitely compel you to enroll your kids now to these training programs. Scroll down to check them all out. It helps in maintaining the emotional balance and bring stability. Improvement in the concentration, creativity, and confidence. It also helps in balancing the right and left brain functionality. Apart from the blindfold skills, your child will also have better reading abilities. Kids can also tell the color of the object without even seeing it. It improves the I.Q. as well as E.Q. level. Midbrain activation is on the rise these days because of the impeccable results it has to offer. Earlier, people were not much serious about the extra activities but now the things have definitely changed. Now, people prefer to send their kids to such training programs for their better education and future. Midbrain activation is very important if you really want your kid to be a little smarter than the other kids. The demand is rapidly increasing with each passing day. Also, there is a lot of scope in this field for the youth and the teachers. Therefore, if you want your kid to have a brighter future then it is the right time to make your kids join these classes. Who Can Take Midbrain Activation Workshop? Those who totally depend on the mind oriented communication to achieve success and take the decision. This program is for those who want to enhance their subconsciousness by taking command over the mental competency. For those who are instinct for high-risk decisions. In those people who need to strengthen their weak conscious modality. Those who want to grow personal, professional, and social performances. So, if you were looking for ways to activate Mid Brain then I hope this might have been helpful for you. Mid Brain Activation has now become very important for the kids and luckily now there are many institutions and academies that offer these services. So, go ahead and now make your kid join these classes. Mid Brain Activation: Does It Really Work?